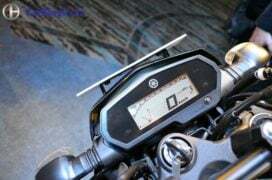 Yamaha FZ25 – Check Prices, Specs, Mileage, Top Speed! 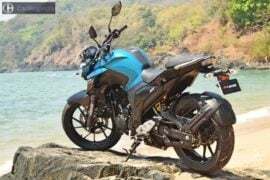 The Yamaha FZ25 price is really aggressive. 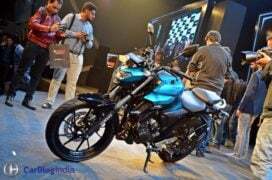 With a sticker price of just Rs 1,19,500, the new FZ25 is a really attractive offering. 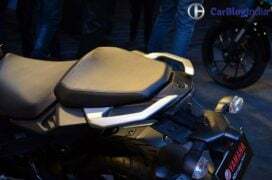 With such a price tag, the new FZ 25 could give sleepless nights to the likes of KTM Duke 200 and even the Bajaj Dominar 400. 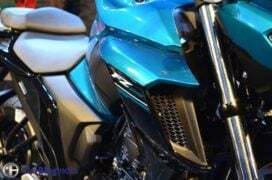 Powering the new Yamaha FZ 25 is a single-cylinder 249cc engine. It benefits from a fuel injection system. However, there’s no 6-speed gearbox and the bike gets 5 gears. Peak power of 20.9 PS is produced at 8000 RPM. Peak torque of 20 Nm comes in at 6000 RPM. 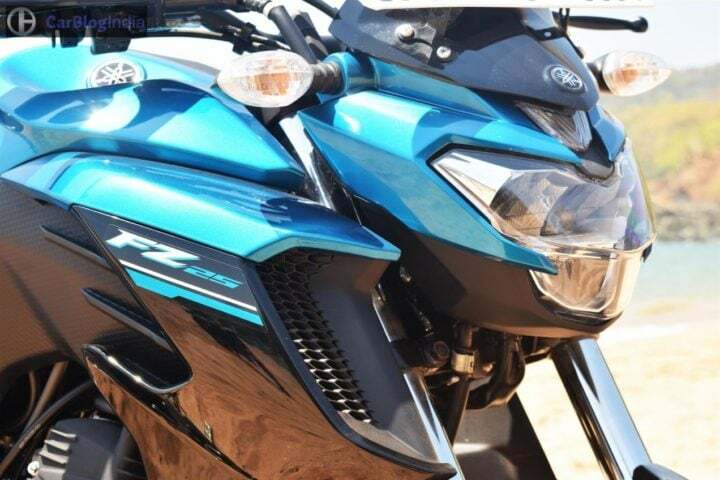 Combined with a weight of just 148 KGs, the FZ25 should be one sprightly performer. The bike gets disc brakes at both wheels. Official mileage figures stand at 43 KMPL. 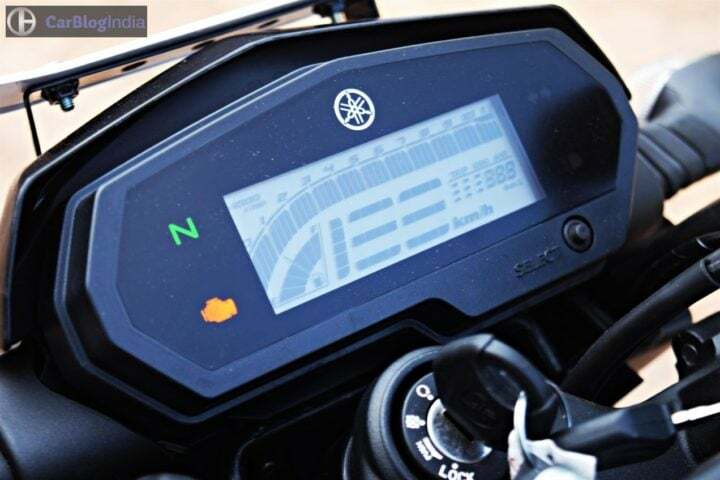 However, safely expect the bike to offer up to 38 KMPL on the highway in real world conditions. 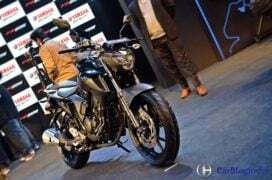 The true Yamaha FZ 25 top speed could be in tune of 150 KMPH. Official figure is yet to be revealed. 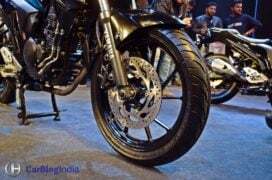 However, the FZ 25 is expected to 100 KMPH from standstill in less than 10 seconds. 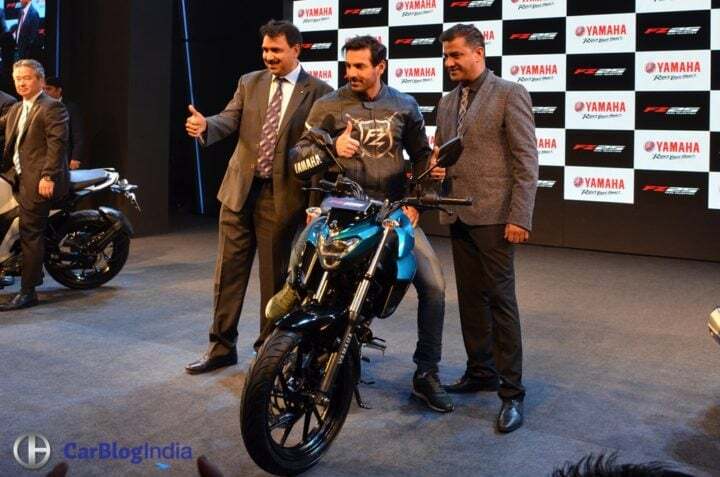 The new Yamaha 250cc bike for India stays true to the FZ brand. It gets muscular streetnaked looks, which should appeal to young urban men. 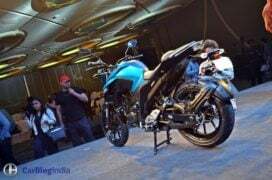 It does look a fair bit like the original FZ16. 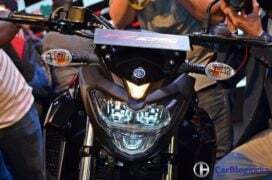 However, there are several bits, like the tank extensions, which have close resemblance to other streetnakeds in Yamaha’s line-up. The bike does seem to take a lot of design inspiration from the MT03 and M-Slaz. 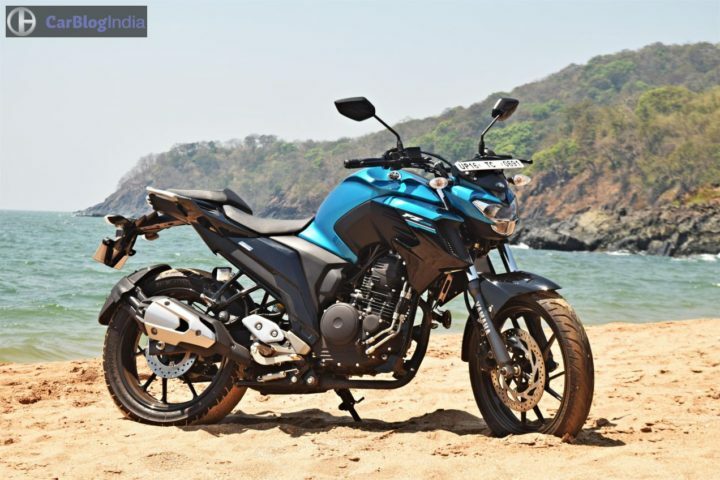 Overall, the new 250cc Yamaha FZ does make a bold statement with its design. 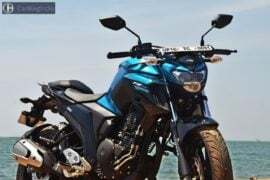 Stay tuned to CarBlogIndia for latest news updates on Yamaha FZ25 price, top speed, 0-100, mileage, images and specifications. 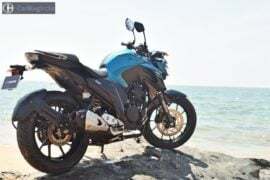 Watch this space for a review of the new Yamaha FZ 25 250cc motorcycle.